Equine Specialty Services consists of a full service animal therapy/rehabilitation agency that has been in operation and offering rehabilitation solutions and services since 1990. 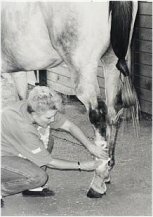 This business is owned and operated by Joyce Jackson, who has been involved in the animal rehabilitation field since 1988. 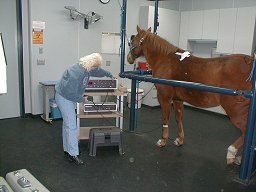 Joyce is a Veterinary Assistant with a special interest in sports medicine, rehabilitation, and therapeutic modalities for animals, as well as a consultant and member of the Rehabilitative Health Team at Panorama Equine Medical and Surgical Center in Redding, California (see About Us section). 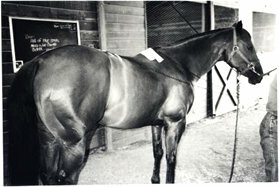 For many years Equine Specialty Services has worked in conjunction with several veterinarians. The primary veterinary facility that Equine Specialty Services presently works in affiliation with is Panorama Equine Medical and Surgical Center located in Redding, California. The attending veterinarian and owner is Dr. Wallace H. Liberman, DVM. Equine Specialty Services may perform an Evaluation on horses that have not yet been diagnosed to compile information to report to the attending veterinarian. This evaluation consists of visual observations, manual palpation, and using the Electro-Acuscopes' biofeedback capabilities to determine readouts of specific tissue. The "diagnostic capabilities" of the Electro-Acuscope are only used as a tool to help pinpoint the locations of low or high conductivity in the tissue (i.e. a possible pathological area) so that the proper care can then be administered to the animal. Equine Specialty Services does not diagnose specific conditions, prescribe medications, nor does it practice any type of veterinary medicine. Once the Evaluation is performed, that information is then compiled and accompanies the recommendations from your veterinarian, chiropractor, farrier or other professional equine health care provider. Upon the clients' approval, Equine Specialty Services will design a rehabilitation program to suit the individual horses' needs. It is recommended that the initial series of rehabilitation sessions is completed in three or four consecutive daily applications. Treatment protocols, including which modality is applied (or group of modalities as the situation warrants) are customized for each horse. Often we will start with more generalized applications, and then progress to more specific applications directed at your horses' condition. For questions, a consultation, current prices or to schedule an Evaluation or other appointment, please contact Equine Specialty Services.